Shannon Hackley (far left), owner of Shannon Leigh and Station SL, was acknowledged as one of the many vibrant small businesses revitalizing Downtown San Leandro. Shannon's newest venture is Station SL, San Leandro's first downtown, community-based coworking space. 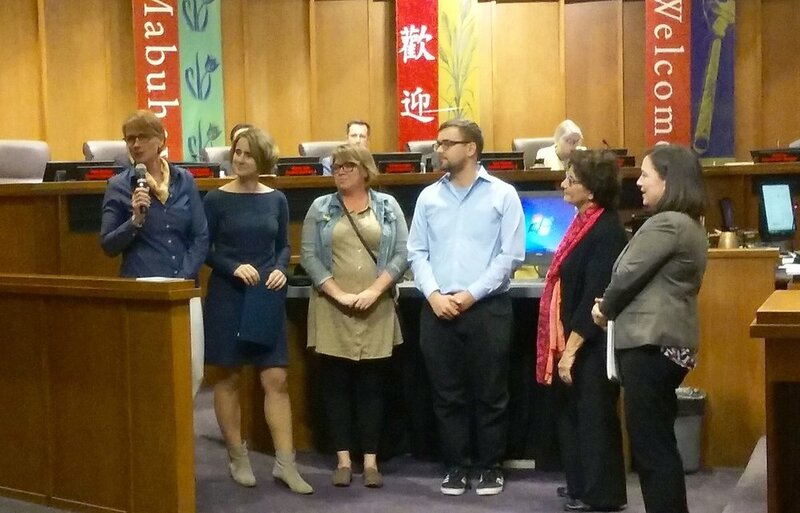 April 2nd, Mayor Pauline Cutter and Katie Bowman (Economic Development Manager) of San Leandro introduced Shannon and other entrepreneurs as a lead up to National Small Business Week, April 29 to May 5th. ← Station SL Becoming a Reality!